If you’ve ever been to a gym before, chances are you’ve felt a little bit lost amongst the giants that generally occupy the space. You’ll head over to a machine that you’ve never seen before and just start moving stuff. Hopefully no one will be recording your actions. Otherwise you might end up on a list about gym fails. Get those abs, boy! 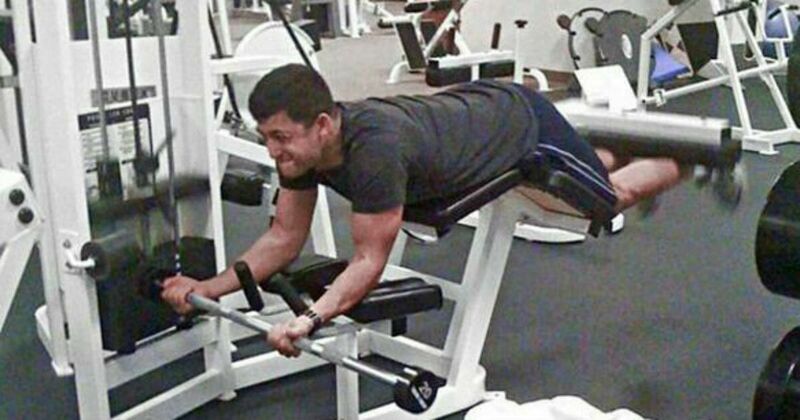 I wish someone told this dude this isn’t the way to go about doing crunches. Also, he’s trying to do too many things at once. It’s like he’s really trying to get his whole workout done in under 9 minutes!